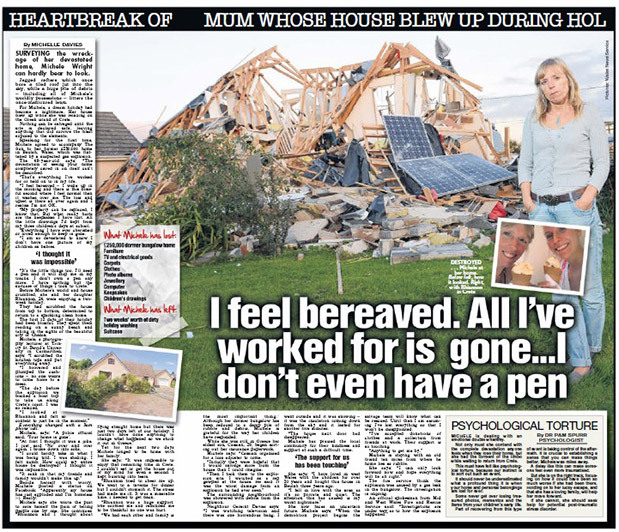 College lecturer Michele Wright returned home from holiday to discover her home was completely destroyed in a gas explosion. 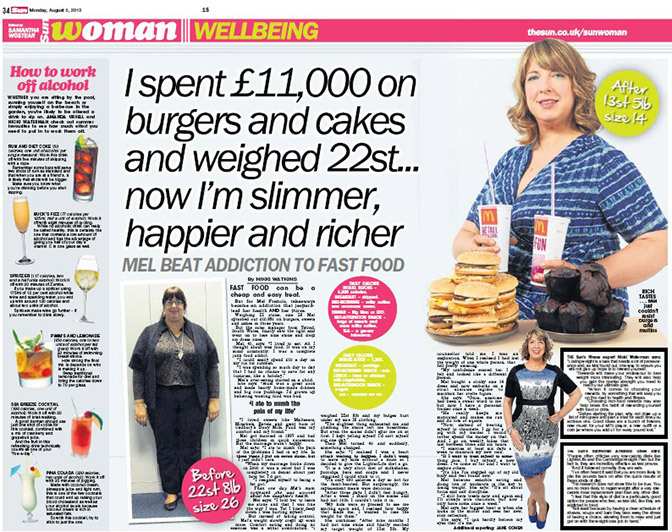 Mel Francis lost 8.5 stone after kicking her fast food addiction. Over three years she spent £10,950 on burgers, sweets and cakes. Now she is fitter, happier and richer too! Angela Rees who lost her 23 year old daughter Laura in a car crash and later found out that Laura's best friend Natalie Thomas had stolen over £8000 from the charity set up in her memory. 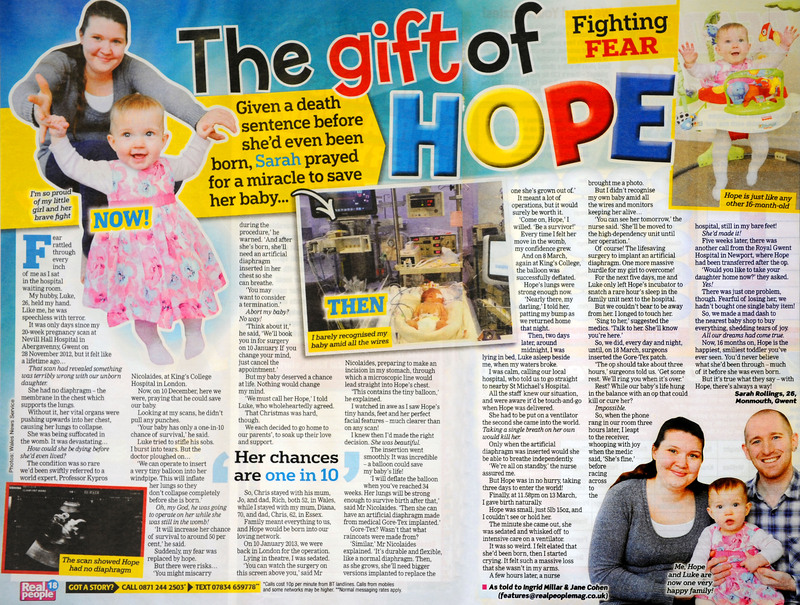 Sarah and Luke Rollings' little girl, Hope needed surgery in the womb to correct a rare condition. No fury like a WAG scorned. 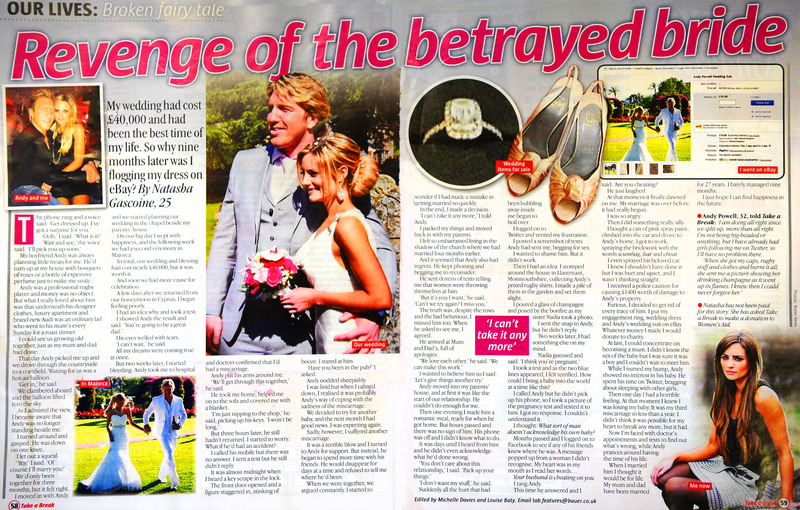 Natasha Gascoine sold her cheating hubby's stuff on ebay after he wrecked their marriage. 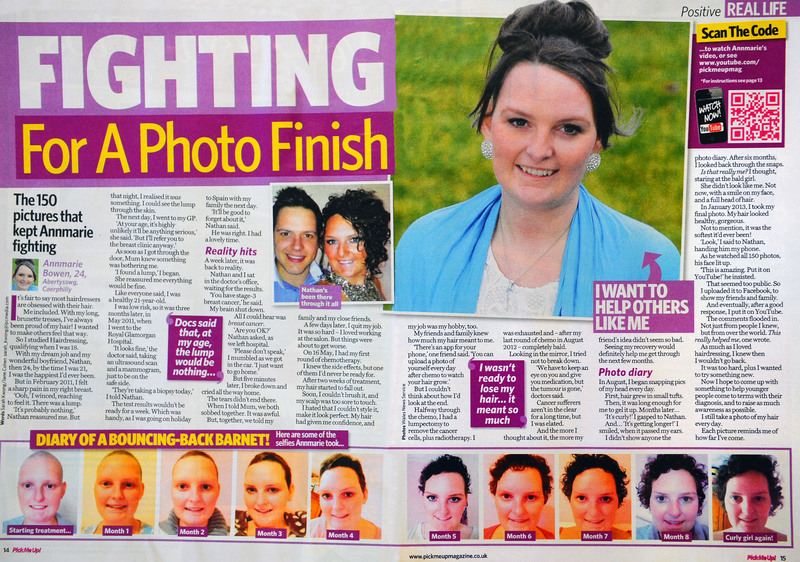 When hairdresser Annmarie lost her hair during cancer treatment she decided to document its regrowth to take back some control. 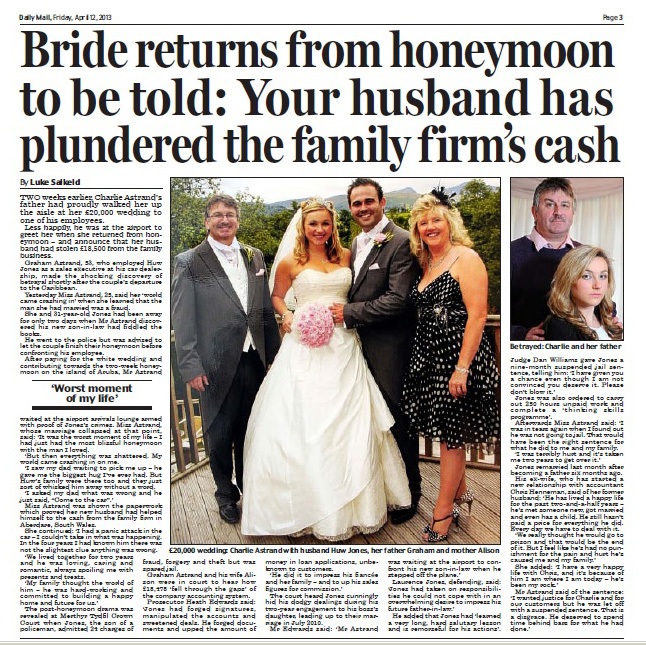 New bride Charlie Astrand returned home from honeymoon to the shocking news that her new husband had been stealing from the family business. 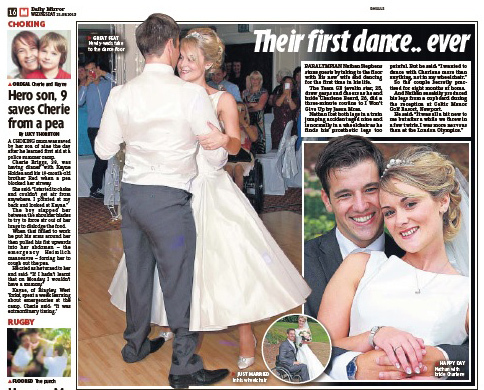 Paralympian Nathan Stevens was able to share a romantic first dance with his new bride after learning to use his prosteic legs in time for his wedding. Kate suffered horrific domestic abuse at the hands of her first love. Julie's husband turned to violence after their split. He waited for her to finish work and launched a terrifying hammer attack - completely out of nowhere. 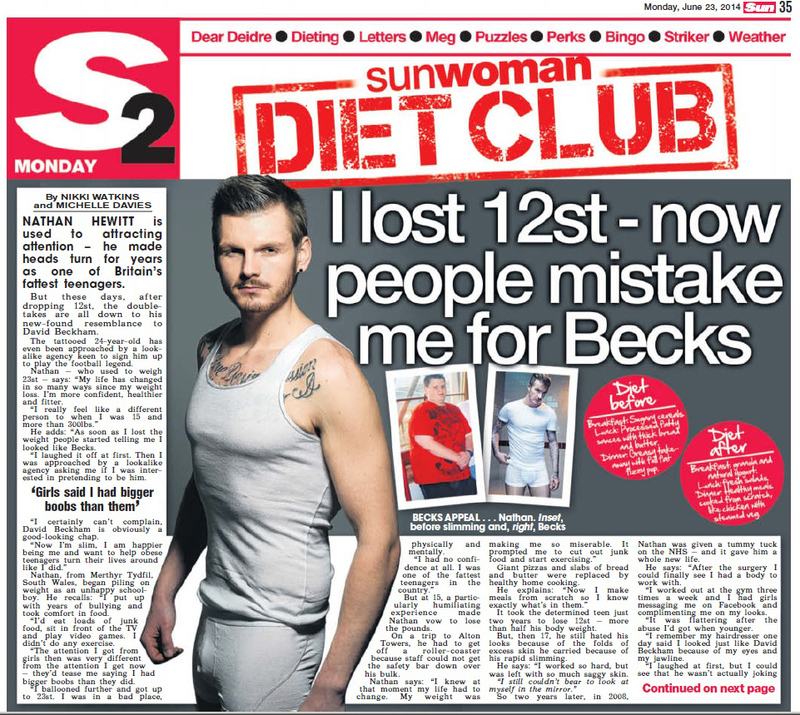 Nathan Hewitt lost 12 stone and went from a chubby teen to a David Beckham look-alike. 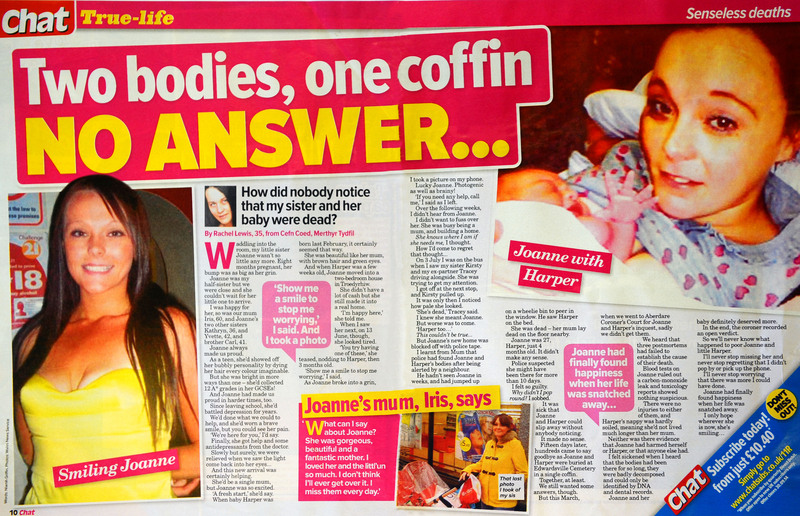 Rachel tells the heart breaking story of her sister's mysterious death. Our writers have years of experience helping people talk about the ups and downs in their lives. We pride ourselves on a personal and sensitive approach to every story. We know that dealing with the media can be overwhelming and scary but promise to help you through every step of the process with honesty and compassion. It is our job to ensure you are completely comfortable at every stage of sharing your story. Equally we guarantee to get you the best fee available and make sure you are 100% happy with your story before it is printed. As early as school I had my key skills nailed down: I liked writing and talking. If I wasn’t busy chatting I’d be scribbling down a story or passing gossipy notes around the class. So I guess it was a given that one day I’d become a magazine journalist. I pride myself on the ability to talk to anyone and everyone. It is easy when you’re as naturally inquisitive as I am. Nosiness aside, it is so important to me that our stories come from the heart. Capturing the essence of a person or a moment is what writing is all about for me. Please trust that your story is safe in our hands because we know how important it is to get it right. Because this isn’t a story to you, it’s your life. 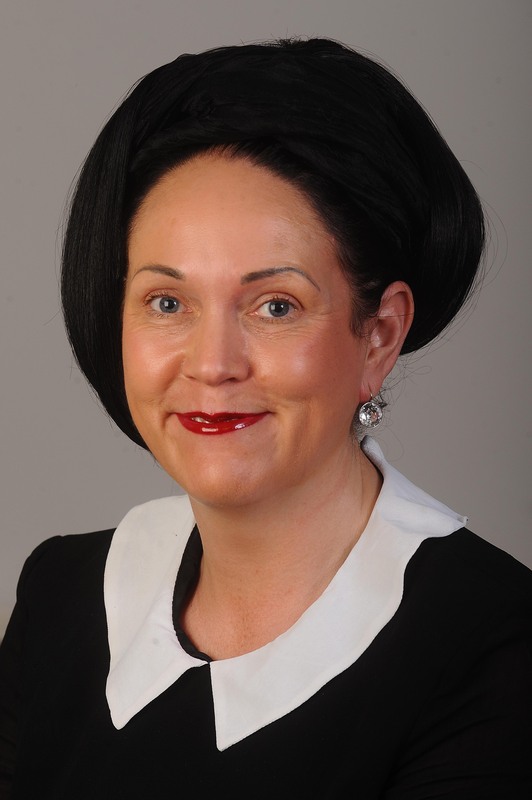 I am a single mum of two teenagers and enjoy nothing more than listening to people and talking. I trained as a hairdresser in my twenties but my dream was always to write stories. Sharing people’s amazing, tragic, funny and bizarre stories is a real privilege for me. 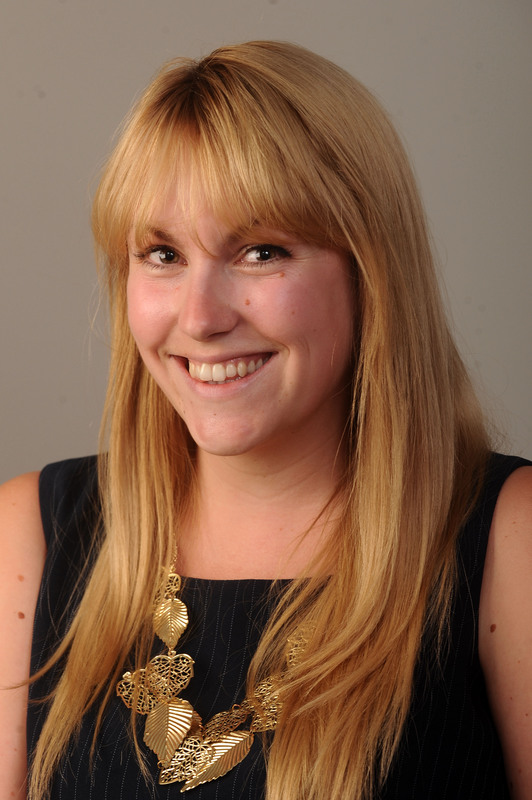 I’ve been a features writer for 12 years and believe everyone has a story to tell – however big or small. A relaxed chat over a cup of tea and then putting into words what someone wants to say is what I love to do most. The power of words is amazing and making sure you are completely happy with your story before it is printed in a magazine is always my top priority. Don’t waste another moment – if you’ve got something great to share with others pick up the phone and let’s have a chat right now! Has your heart been broken by a love rat? Or maybe something funny or tragic has happened to you? Get in touch with our experts in the media industry to secure a top fee for your magazine feature. We will better any other cash offer!